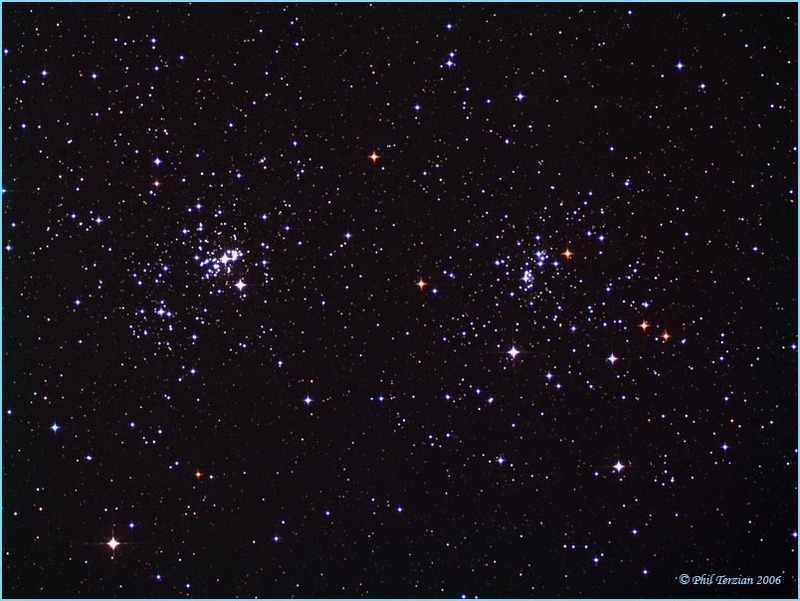 These two open star clusters in the constellation Perseus are over 7,000 light years from here. They contain both red and blue supergiant stars. The clusters are visible through binoculars in this star rich area of the Milky Way Galaxy. Processing: MaximDL for calibration, alignment and combining.